and reduce wear on the bearings. Designed for installation in either suction or discharge lines. Vibration Absorbers with vapor barrier covers are available. end configurations and with an optional rubber outer cover. by UL/CSA (file number: SA 10717). Available in bronze and stainless steel. Bronze hose made from 95/5 and bronze braid made from 90/10. Stainless hose and braid made from series 300 stainless steel. 1. Minimum burst pressure is 5 times the maximum working pressure. 2. Hose may be helical or annular type. 4. Length = D ± 1/4"
5. 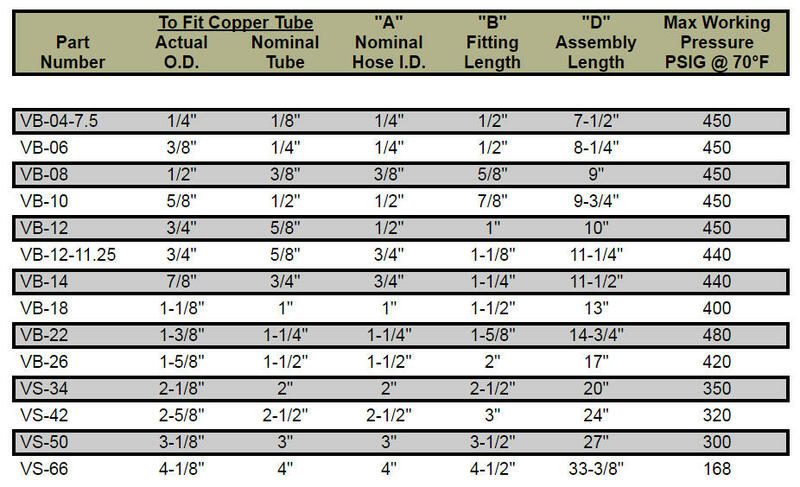 Hose Length: C = D - 2B6. Hose is not to be used with ammonia refrigerants. 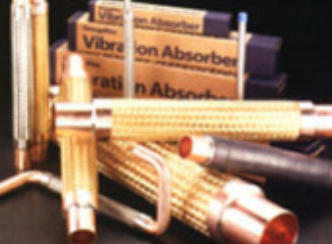 For additional information regarding our Vibrasorber products and your specific application, please contact us. For additional information regarding our hose products, please contact us.